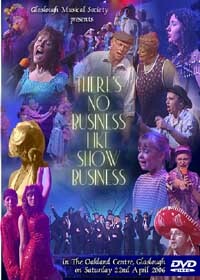 “There’s No Business Like Show Business�? this year and are thrilled to be on stage in the newly enhanced Oakland Centre. Many hours of hard work and dedication went into the refurbishment of the Centre over the past few months to make it possible to stage a variety show of this nature. The cast are treading the boards on home ground. The Audiences have been dazzled with the last two years performances by this talented group and this year’s production, under the capable direction of Packie Mc Ghee and his daughter Louise as choreographer, is certainly no exception. talents in song, music, dance and comedy.